It’s now a few days into this new year of 2017, which was welcomed in by the Minster bells, though it had looked unlikely that it would be. I don’t want to write about the ongoing difficulties (I attempted to do so, back in October), but I do want to write a bit about bells and their ringing, here at York Minster and elsewhere, with some historical notes and queries. Firstly, I’d like to say how much I appreciated hearing the Minster bells at this particular time in this particular year, as it marked 30 years since I first stood here by the Minster at midnight on New Year’s Eve and heard them ring as one year turned to another. Or rather, back in 1986, as it turned into 1987, I was in one of the doorways of the York Arms, also pictured in that photo above. After a recent excavation of my pile of old diaries I’ve managed to relocate the ancient yellowing handwritten document, a diary page written in early January 1987 describing events as I remembered them: that I was in the York Arms, wasn’t expecting to hear Minster bells, was more concerned with looking for a friend who had disappeared from the busy pub. That I went to the door to look for them outside, and then experienced that magnificent massive sound so close, suddenly ringing out, welcoming 1987. The pavements around weren’t filled with people back then. Barely anyone there, as I recall. This New Year, after dashing up Bootham in the last half hour of the old year, we greeted midnight in the middle of a huge crowd of thousands at the end of High Petergate/Duncombe Place/Deangate. It was virtually impossible to hear the bells over the crowd noise and loud voices of people around us. Moving through the throng to the end of Precentor’s Court made the bells audible at last, hurrah. The reason I’m mentioning and comparing the ringing in of 1987 and 2017 is because of recent confirmation that it was at that New Year, 30 years ago, that the tradition of ringing in the New Year at the Minster restarted. There had been a gap of 50 years in that particular traditional New Year celebration, apparently because of alleged vandalism, bottles being thrown by revellers at the Minster’s west front. So, by chance, I was there the year that tradition restarted. And it meant a lot to me at the time. And meant a lot to me to hear them again, 30 years on. 600 years? ‘Don’t mention the war’ … ? While we’re on the subject of traditions, and breaks in traditions, I also wanted to mention and query something I’ve seen repeated over and over in recent newspaper headlines. I’ve found myself looking for clarification on whether the silence of the bells here at Christmas really was the first time that had happened for 600 years, as the media kept saying it was. 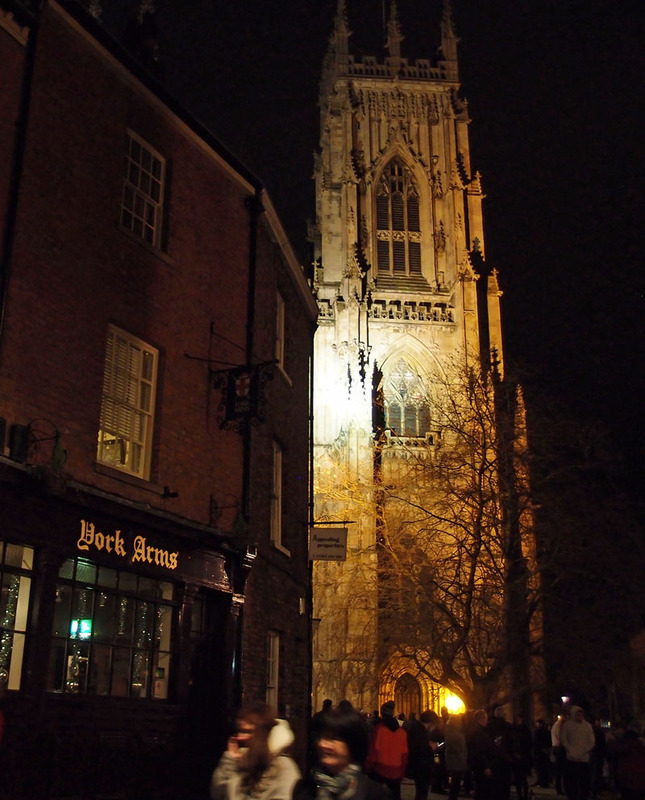 ‘York Minster’s bells fall silent at Christmas for first time in 600 years‘ said the Guardian. 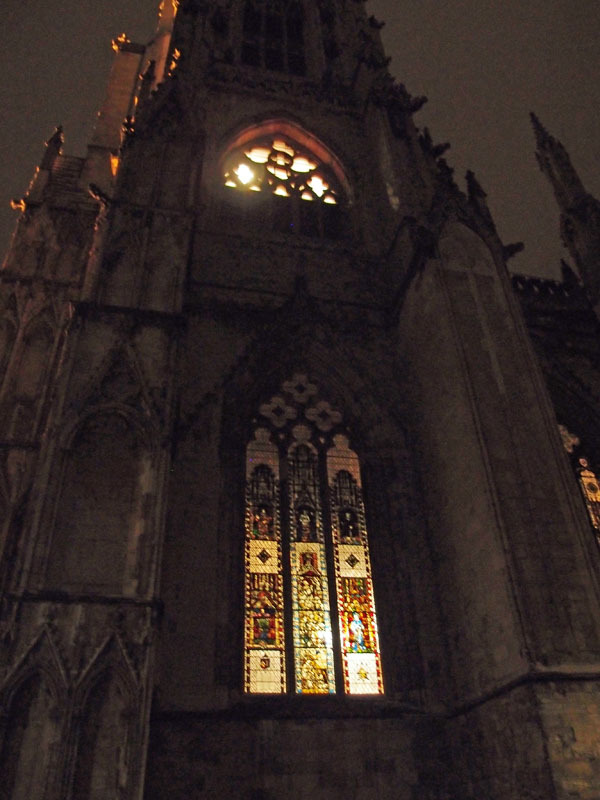 ‘York Minster bells’ first Christmas Day silence for 600 years‘ said the BBC. ‘York Minster bells silent at Christmas for first time in 600 years‘ said Sky News. Etc, etc. I was a bit unsure about this ‘for 600 years’ thing, because I kept thinking about the war. Not that I was around then, but my understanding was that during World War Two, or at least for much of it, church bells were silent, and were only to ring in the event of an invasion. I kept hoping that if that were the case someone would point out the error in these headlines. But it just kept being repeated over and over. So perhaps York Minster had special permission, perhaps all cathedrals did, perhaps all through the dark days of World War Two its bells rang out jollily on Christmas Day? Far more interesting though, and a good example of the wonders of the internet and how we can set out on a boring fact-checking thing and find a gem – I also discovered the Hansard transcript of a debate in the Lords on 31 March 1943: RINGING OF CHURCH BELLS. ‘For nearly three years 12,000 parishes have had their bells silenced, in case in one of these parishes there might come from the air a certain number of Germans. There have been three exceptions. On one occasion certain bells were rung by mistake; the bells were rung to celebrate the victory in Egypt; and they were rung again last Christmas. But with these exceptions, for nearly three years no bells have been rung to summon the people to worship, no bells have been pealed at weddings, no bells have been tolled for the dead, no bell has been rung at the induction of a new incumbent, no bells have been rung from college chapels. All over the country there has come a silence to our bells. But back to the bells and their ringing, throughout the land. Lord Mottistone, in response, notes that ‘the ringing of them adds to the joy and happiness of our lives’. It’s really worth reading the whole thing, with its often rather splendid language, phrases like ‘all my large-scale peregrinations’. But to go back to the matter in hand — evidence suggests that ‘Bells fall silent at York Minster for first time in over 600 years on Christmas day’ is perhaps not a factually correct headline. If it is, then I’d appreciate sources, further information, etc. If it isn’t, then perhaps it adds to the whole bigger debate about whether media sources do fact-checking anymore. Just a small thing, on the grand scale of things, but I noticed it, and wondered. And in wondering, I read about shy signposts and the like, so time not entirely wasted. And the other thing I would say, bells are ringing, not for people’s enjoyment, they’re being rung for the glory of God, they’re singing out, the glory to God in the highest, that’s what it is all about, and people must never forget God when they talk about ringing bells. It is God first, your neighbour second, alright? I heard this live when it was aired and was so struck by it that I went back to the recording and transcribed this part of it. Archbishop Sentamu made a confident statement about what the bells are ‘for’. But clearly they have a long and complex tradition far deeper and wider than that. We were going to use them as a rather primitive alert system, in a wartime situation, and church leaders were perfectly happy with that, at least for a time. And when the bells rang out at the end of the Second World War, to celebrate the end of that particular armed conflict, it was thought culturally significant enough to record, as previously noted here on these pages. 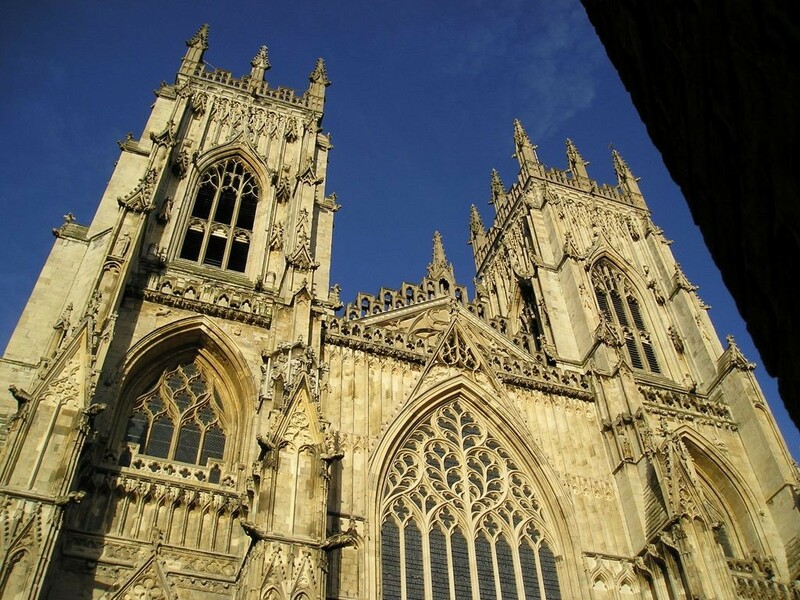 Perhaps recent events regarding the bellringing at York Minster have made many of us think more, in more depth and detail, about how and when those bells normally ring. 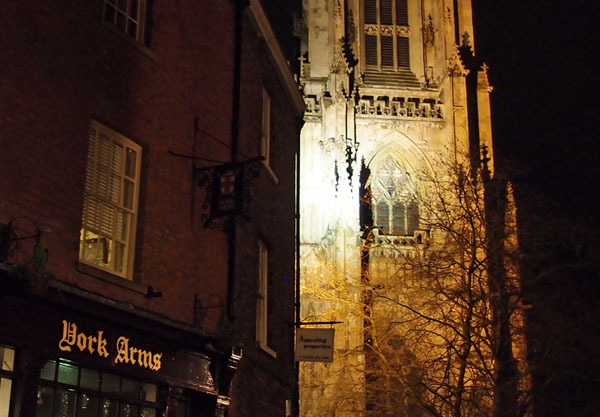 There’s interesting information on the website of the York Minster Society of Change Ringers, with a page on the northwest tower and on the southwest tower, and how the bells are rung in different ways. Also interesting to read that there’s a project to get the bells of St Helen’s church in St Helen’s Square ringing again, as featured in a recent piece in the York Press. If you have historical information/clarification, thoughts on bellringing in general, memories etc, comments are welcome. I don’t want anything personal/abusive about any of the parties involved in the bellringing dispute at the Minster and these will be removed. Thanks for your interest and your understanding. How lovely to have such an archive as your diaries to refer back to.Was ’87 a good year for you ? The diaries are generally short on useful facts, and I had to wade through a load of self-analytical ponderings and musings to find the info I needed … but I was much younger then. I reckon 87 was like all the other years, a mixture of good and not so good. But generally I think the later 1980s were better than the earlier 1980s. Producing long-winded tripe like this isn’t as easy as it looks. Lisa, You do a great job on this web-site as a ex Yorkie living across the pond I can keep up with the happening in York and remember what York was like in old days and keep in touch with people who I have found through this web-site.